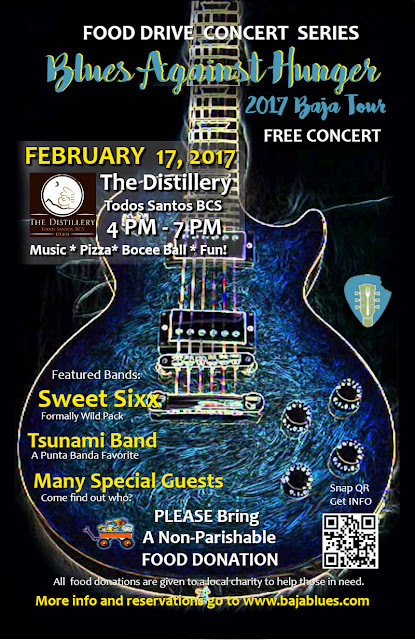 “The Distillery” in Todos Santos, Baja California Sur, Mexico becomes an official venue for Second Annual Baja Blues Tour. United States, 11 Nov 2016 - “The Distillery”, a world-acclaimed winery and distillery located in Todos Santos, Baja California Sur, Mexico, will host the second yearly Baja Blues Tour from January until May of 2017. The 14-day exciting event includes 12 cities, 9 concerts, a tour of four 300-year old Spanish missions, The famed Eiffel (of Eiffel Tower) Tin Church, Baja whale watching (2,500 whales), along with amazing untouched natural bays and landscapes. Musicians and music fans alike are going to experience Baja in a very special way. 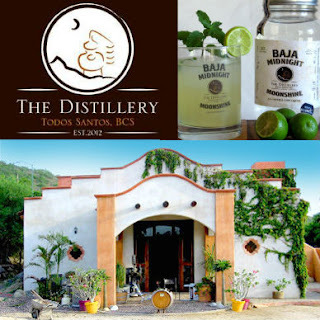 This popular distillery, which is the only one in the Mexican state of Baja California Sur uses a unique process to make its spirits. These alcoholic beverages are produced from local and imported premium ingredients. The Distillery controls each aspect of its small-batch wine and spirit production with a variety of distillation methods up to the bottling process of its natural and high-quality liquors. Most of the wines and spirits offered by “The Distillery” will be made available to connoisseurs for private labeling. Top products include the Baja Midnight White Lightning Moonshine with flavoring of mango and pomegranate as well as the Baja Midnight’s Blue Marlin Vodka. In 2014, “The Distillery” expanded and added La Fuente Winery after its original location was razed by fire. Harold Osborne, experienced winemaker and founder of La Fuente Winery, migrated to Mexico while still a child with his parents. He worked in some of the renowned wineries worldwide. He bought The Tasting Room in 2013 and established the La Fuente Winery. This wine cellar offers the finest blends like Ruby Cabernet, Petit Verdot, Roussanne, Jamaica, Brisa de Limon, Trebbiano, and Damiana. La Fuente Winery has partnered with Baja Brewing Company which produces Artisanal Craft Beer and Cabo Wine Club. The Baja Blues Tour is being promoted by Blues Against Hunger (www.bluesgainsthunger.org) and Baja Good Life Club (www.bajagoodlifeclub.com). It is a perfect sojourn for tourists who yearn to see the Baja Peninsula, enjoy the music and meet new acquaintances. Blues against Hunger Society conducts humanitarian activities like feeding poor and hungry people using foods raised from blues musical events and concerts. The Baja Good Life Club is a discount-lifestyle club that aims to enhance the lives of foreigners living in Baja California. It is involved in activities that promote fun, friendship, food, and savings.